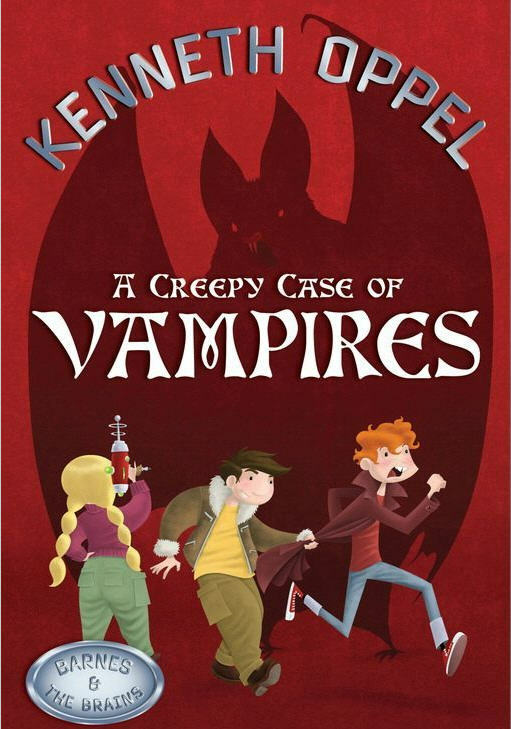 This is the last book in the re-released series by Kenneth Oppel from Harper Collins Canada. 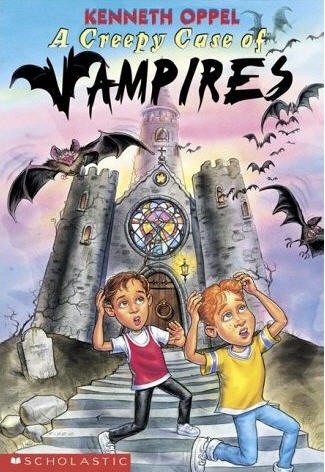 These books were originally published between 1994 and 2004 by Scholastic Canada. With new covers and artwork interspersed in the books, these books are intended for young readers and they are fun reads. 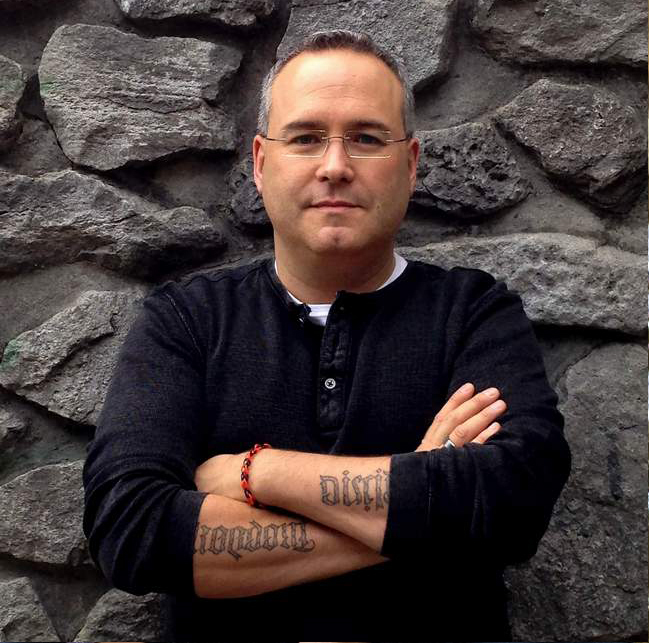 Barnes & the Brains books will easily be enjoyed by young readers and their parents. Unfortunately it appears there will not be any new titles, just the re-issue of the original 6 stories, but it is great to have these books back in print again. Barnes and Kevin Quark are on their way home one night when they notice a dark figure in the church belfry. The figure disappears in a cloud of fog and soon hundreds of bats are emerging from the church steeple. Kevin and Giles convince Tina Quark to help them investigate. When they approach the church, Father Peter informs them that the infestation started about 2 weeks ago and keeps getting worse. Tina as usual tries to solve it with inventions and when that fails, Barnes must try to find a more reasonable solution. Can he do it one more time? Read and find out.